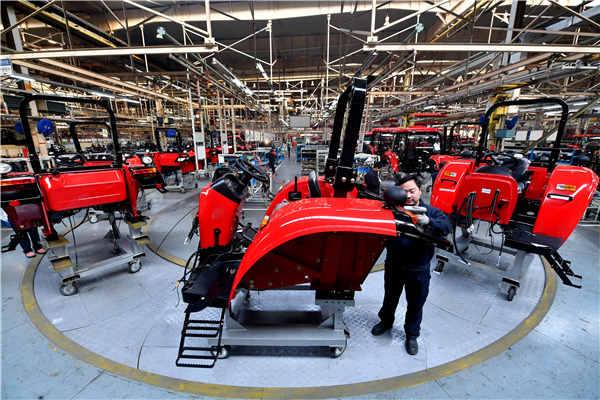 The State Council approved a plan on Jan 10 to establish a pilot zone for the transformation of old and new growth engines in East China’s Shandong province, according to its reply to the Shandong provincial government and the National Development and Reform Commission. New development concepts will be implemented, and quality and efficiency will be prioritized, with new technologies, industries and business models at the core, according to the reply. Jinan, Qingdao and Yantai will play a key role in the construction of the pilot zone, involving 14 other national and provincial economic and technological development zones, high-tech industrial development zones and special customs surveillance zones in the province, said the reply. It urged the Shandong government to improve its work mechanism, issue facilitated policies and implement work responsibilities to complete the plan. Related departments under the State Council were asked to give guidance and support in policy implementation, system innovation and project construction. NDRC was also urged to follow and supervise the implementation, and submit timely reports to the State Council on key issues.